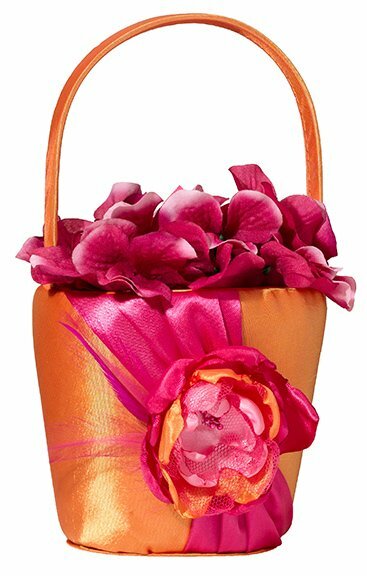 The orange and hot pink hues of this flower girls basket are sure to catch some eyes. It's 7.75" tall and wrapped in orange satin. 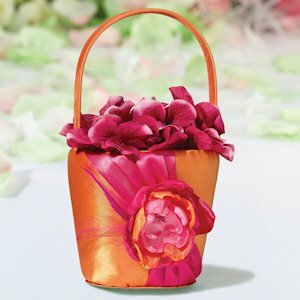 A twist of fuchsia travels down the side and is cinched by a bold bloom incorporating both colors. A few feather and some mesh details provide textural contrast. It makes for a modern take on a traditional accessory.